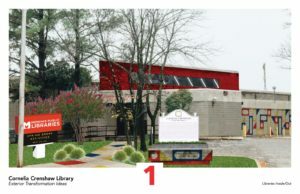 The establishment of 12 DiscoverREAD early learning spaces in various library branches. 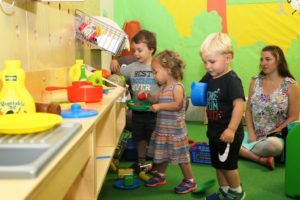 These hands-on, educational play spaces are designed to help children 0-5 years old build early literacy skills and prepare them for Kindergarten. Investing nearly $100,000 in summer programs, including 12 free camps for teens and tweens and hundreds of free programs for children and adults. 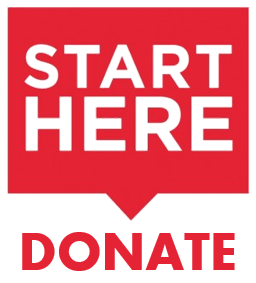 Providing $50,000 in funds for civil rights materials at all branches in conjunction with MLK50. Installing a high quality digital sign at the Central Library to help promote the library’s many free programs and resources. Funding technology and instruction for Seniors across the City to better connect them to friends, family, and health and wellness information. Presenting free arts and culture programs including concerts, films and art exhibitions. 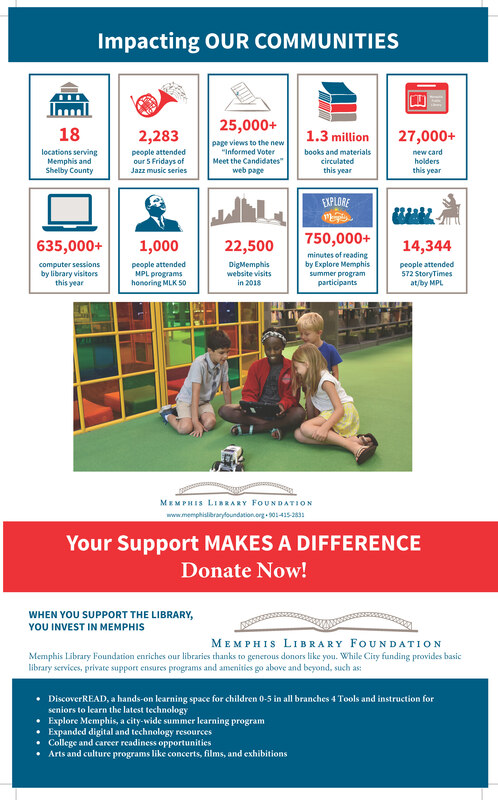 Thanks to generous funding from the Kresge Foundation, Memphis Library Foundation and its team spent the last year listening to the neighbors who live near the Cornelia Crenshaw Library in South Memphis and the Randolph Library in Highland Heights. 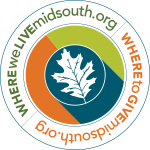 The goal of the Libraries Inside/Out project has been to engage the community in a series of conversations about these branches that will ultimately transform their exteriors to better serve their customers and reflect the hopes and dreams of their respective neighborhoods. Based on the input gathered, our dedicated Design Leads for each branch created renderings for the exterior improvements articulated by the stakeholders in each neighborhood. 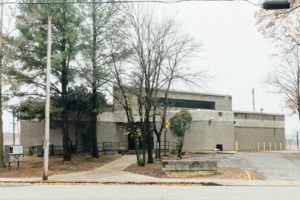 The exterior improvements, which include lighting, color, landscape, signage, and accessibility, have been implemented at the Randolph branch and were unveiled December, 2018. Improvements are being implemented at the Crenshaw branch with an expected unveiling in 2019.